First Maccabees (written circa 134-104 BCE and describing the period of 166-135 BCE) is devoted to presenting the Maccabean dynasty, from Mattathias through his son Judah, to Jonathan and Simon who became high priests and gained political independence. First Maccabees was written in Hebrew (though it is only preserved today in Greek) for a Judean audience in a Biblical style that emphasizes how God chose the Hasmonean family to save Israel. 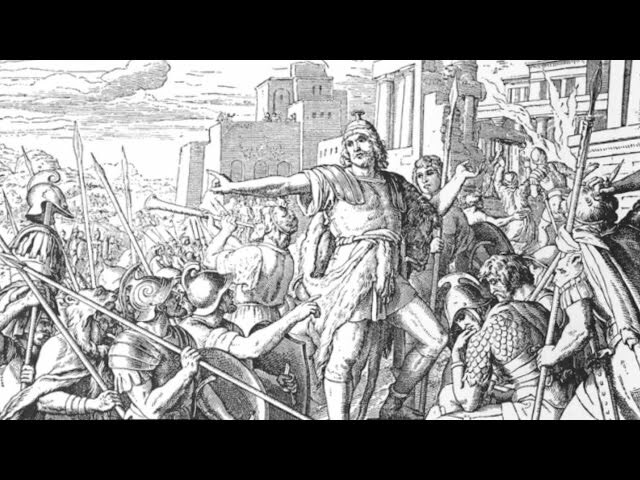 First Maccabees is in a way reminiscent of the Book of Judges (the Maccabees are “those men into whose hand the salvation of Israel was given” [I Maccabees 5:62]). Many original prayers, speeches, and poems embedded in First Maccabees reflect the strong religious feelings of the new rulers. (1) Mattathias is not a direct descendant of the Zadok family of high priests chosen in the days of David, with whose descendants Jason and Alcimus were implicated in the Hellenist reforms in the Temple. (2) The Hasmonean dynasty of priests cannot be the descendants of King David who came from the tribe of Judah. (1) The author describes Mattathias’ action and his rallying call, “Let everyone who is zealous for the Law and who remains faithful to the Covenant, follow me”( I Maccabees 2:27).He uses terms directly analogous to Moses and the Levi tribe at the Golden Calf and Pinchas the zealous priest. They both attacked public desecrators of Jewish worship. In the Bible both the tribe of Levi and Pinchas himself are rewarded for their zealous action by being granted a special status in the Temple worship. Pinchas is even promised what most commentators understand as the high priesthood. Similarly, in Mattathias’s case, zealous action in the face of desecration earns the volunteer the dynastic right to the priesthood for their children after them. Probably the author of First Maccabees supported the Hasmonean court and believed his book continued the biblical tradition of Chronicles. Reprinted with permission from A Different Light: The Big Book of Hanukkah published by the Shalom Hartman Institute and Devora Publishing.